This makes a peaceful spot to think. A piece of watermelon and a paper fan helps to cool down greatly. 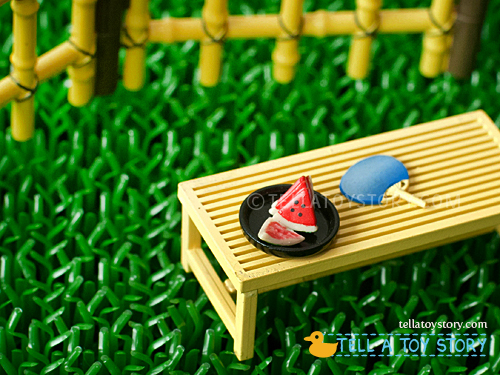 Featuring PC002 Pinky:st for pinky girl, bench, water melon and fan. 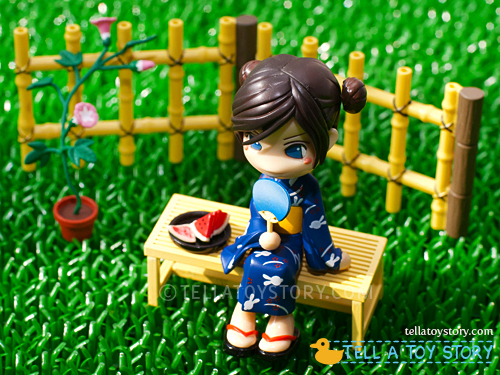 The fence and flower pot are accessories from PC003 Pinky:st. 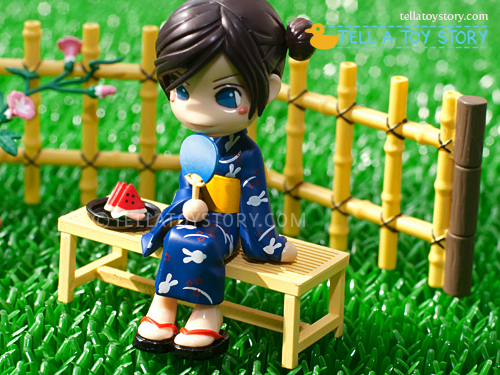 This is one of the few pinky girls with sitting down pose and tiltable head due to a ball joint at the neck. I have this exact same Pinky, but mine also has a little bucket, some firecrackers/sparklers and a bunny mask. I ordered mine all the way from Japan over to California… I love Pinkys!